Drupal is one of the three most popular Content Management System (CMS) in this planet. 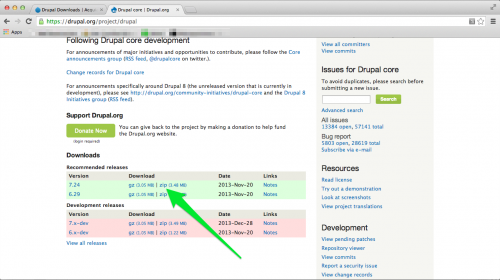 Drupal is open source and written with PHP. Ohh, forgot to mention, Drupal is also called Content Management Framework (CMF) because of it’s robustness. 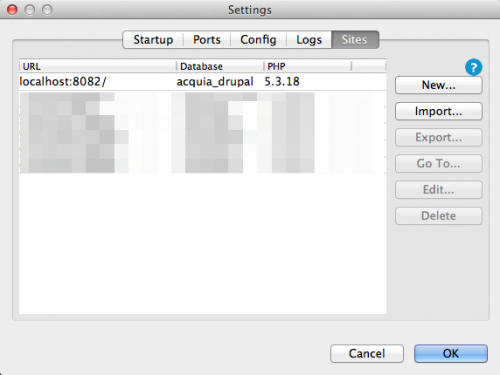 In this tutorial we will work with Drupal 7.x version. And Drupal 8.x is coming very soon with lot more surprises. So, get ready to hang out. I think you have got your answer. This is just a small number of example, I just picked up with. Drupal is so popular to these giants because of its- security, user handling capability and robustness. 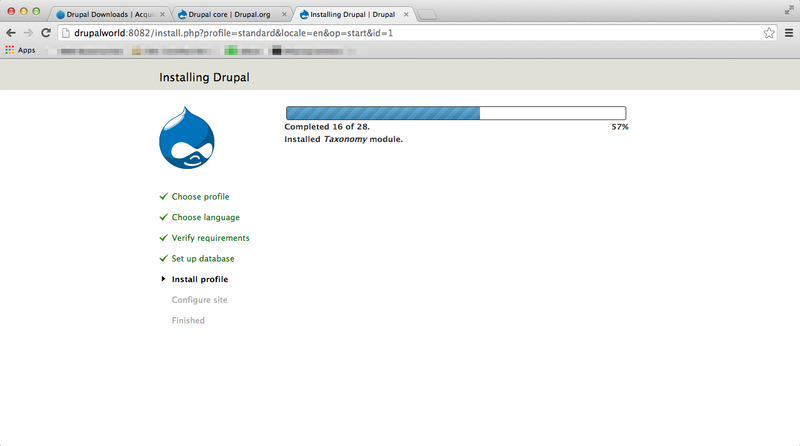 But, there is a learning curve to get used to with Drupal. Don’t be scared. I promise, I will make it easy for you. Just keep patients. All beautiful girls are complicated by nature, isn’t it? 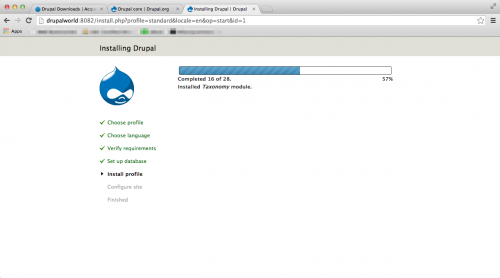 What Drupal is good for? Drupal is good for the sites, which are beyond the basics, means need very frequent updates. 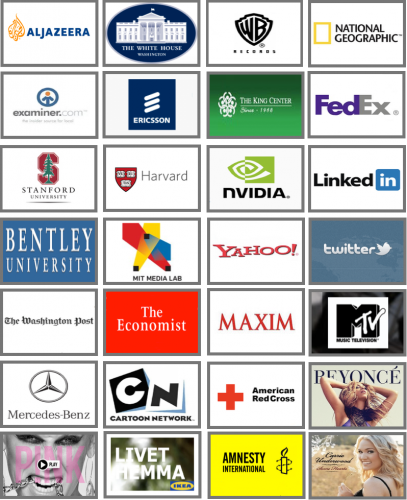 Have multiple contributors around the world. Drupal is good, if your site is very interactive like, online newspaper. What Drupal is bad for? If you think, you will upload your site to the server and you are done for forever. In this tutorial, I will show you the installation process, only. 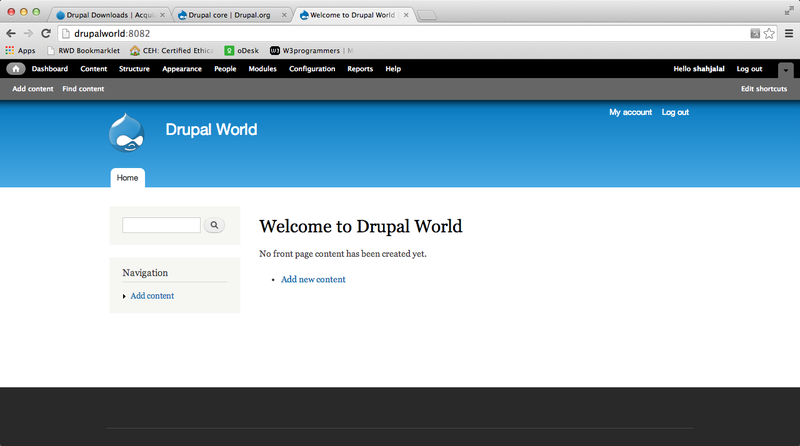 Future tutorial series will come with more Drupal features and development process of this framework. 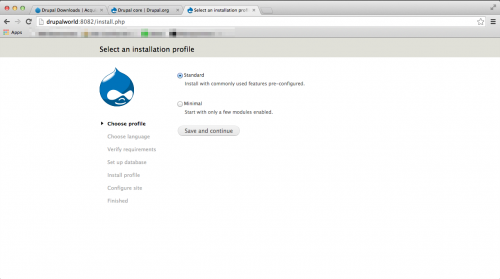 To get start with Drupal we need to go through the following steps. 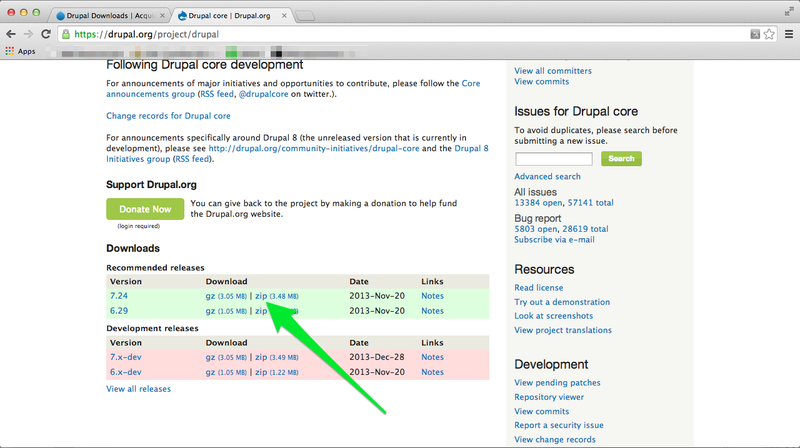 Download and import “core” Drupal into DAMP. We will use Acquia Dev Desktop for our development. It is a DAMP stack and everything is ready to go for our development. 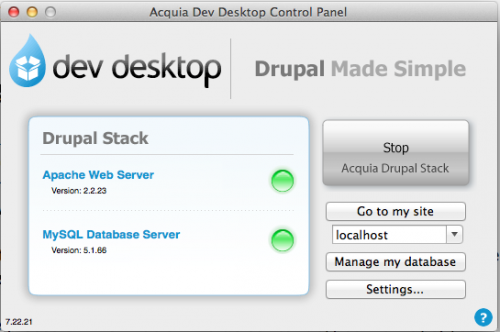 Go to Acquia Drupal site and download the Acquia Dev Desktop Drupal 7 version for your operating system. It will install an Acquia Drupal version with it. 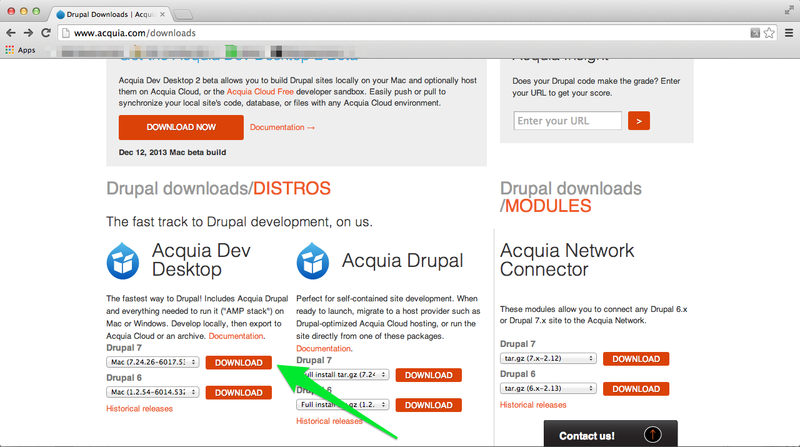 We will not use this version of Drupal. We will install it from the core. Go to the Drupal home page and download the latest Drupal version. Download one of these archive formats and extract it. You can keep this folder anywhere you want, in your hard drive. 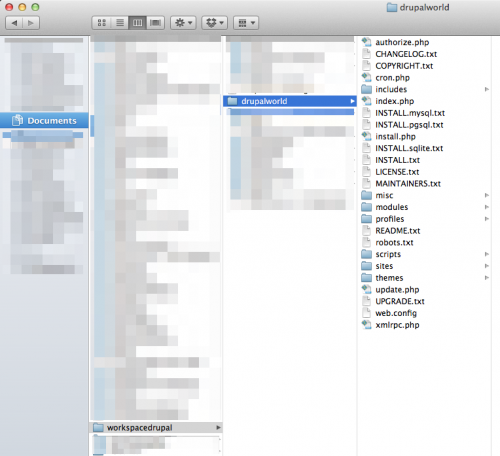 Rename this extracted folder as drupalworld. Click Import, it will open Import site screen. Browse the path where you kept your drupalworld folder. Choose Create new database. 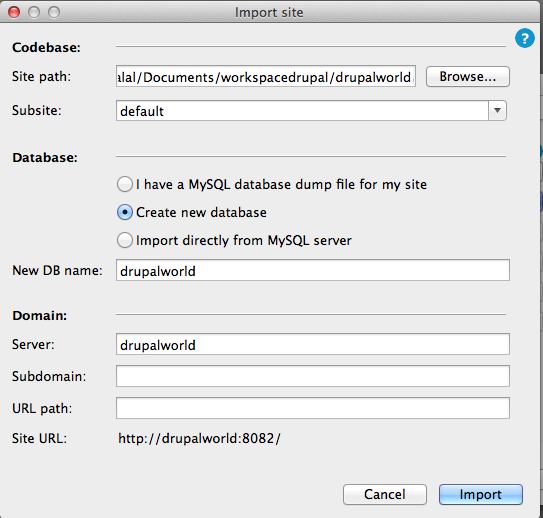 Give New DB name as drupalworld. Write Server as drupalworld. Lastly, click Import button. Immediately, It will take you to the installation page. Keep it as it is and click Save and Continue. Choose language as English and click Save and Continue. The installation screen will appear. And click for the last time Save and Continue. Done..
Drupal installation completion page will come. It will give you a link called Visit your new site. 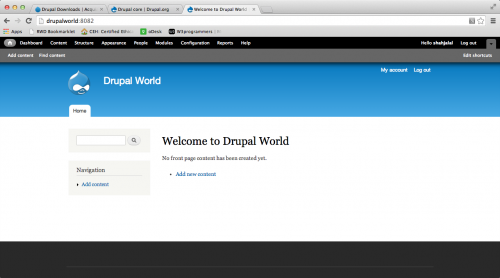 Click the link and welcome to the Drupal world. Congratulations. You have installed Drupal in your workstation. 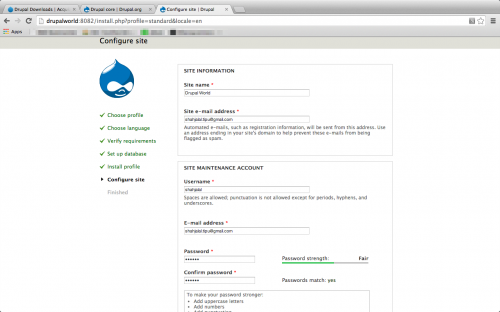 Now, try to spend some time with Drupal so that you can get familiar with it. Install some themes and modules, so that it can freak you out. No no.. just kidding.